Chris Farrell has over 20 years of experience in mergers, acquisitions and strategy, with a focus in the consumer and retail sectors. As both a corporate executive and strategic advisor, he has achieved significant increases in shareholder value for companies navigating through high growth and industry consolidation cycles. Chris has extensive cross-border experience, helping US companies grow their presence in Europe, Latin America and Asia as well as multinationals seeking to grow in the US and hopes this experience will be beneficial to the Surfrider Foundation as it continues to grow. Chris grew up on the beaches of Northeast Florida and has been surfing since he was ten years old. He credits the ocean with providing him with some of his most important and poignant memories and experiences, and he is committed to doing whatever he can to protect our oceans and coastlines. He shares his appreciation, love and respect for the ocean with his wife, Fiona, and their two children. 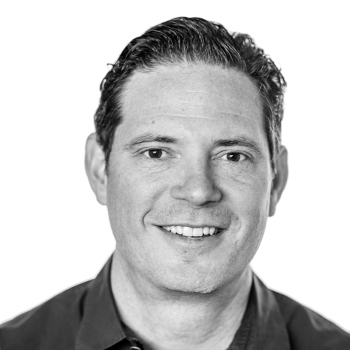 Chris currently serves as Chief Strategy Officer for Authentic Brands Group (ABG). Based in New York City, ABG is a brand development, marketing and entertainment company which owns a portfolio of fashion, sports, celebrity and entertainment brands. Previously, he held the position of Senior Vice President, Strategy, M&A and Investor Relations at Delhaize Group, a multinational food retailer based in Brussels, Belgium. During his tenure, he was responsible for all M&A activities, including the $30.0 billion Ahold-Delhaize merger. Chris also spent 15 years as an investment banker. He has previously served on the board of directors of the Joyful Heart Foundation and Planet Impact. He earned a BA in Economics from Stetson University and an MBA in Finance from Fordham University Gabelli School of Business.